If you're looking for Philly's most authentic German restaurant and beer hall, I'd recommend heading to South Street. 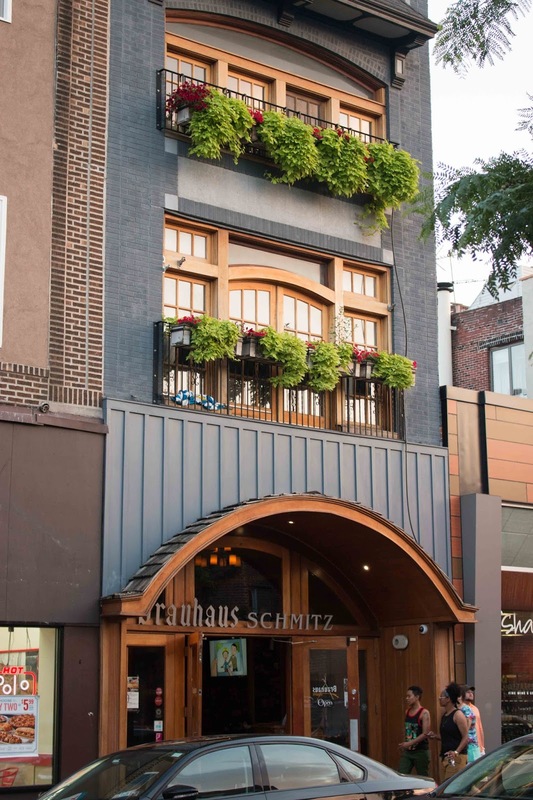 There you'll find Brauhaus Schmitz, which is owned by Doug Hager. And at the helm of the kitchen? None other than acclaimed executive chef, Jeremy Nolan. Hager and Nolan also recently opened Whetstone Tavern, which features refined American dishes with a rustic twist. 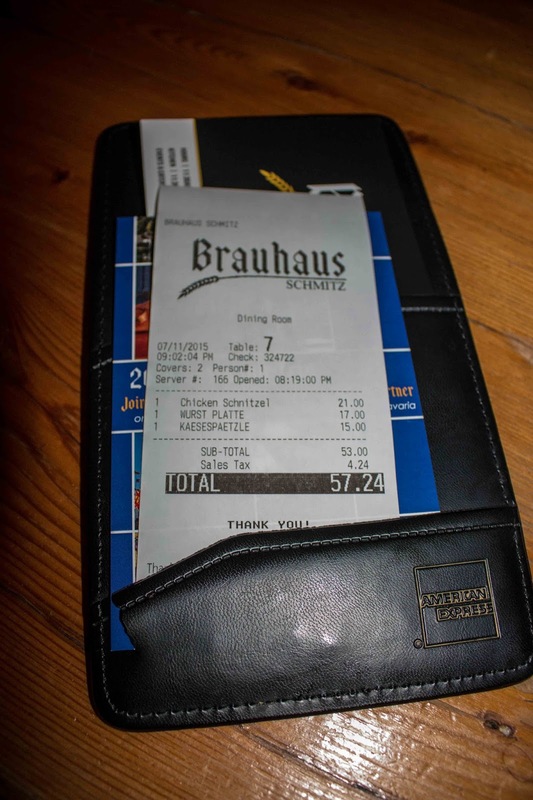 But back to Brauhaus Schmitz. It's got that prototypical German bierhall feel, with dark wood throughout. It's sleek though, with plenty of seating to enjoy dinner or watch a game. 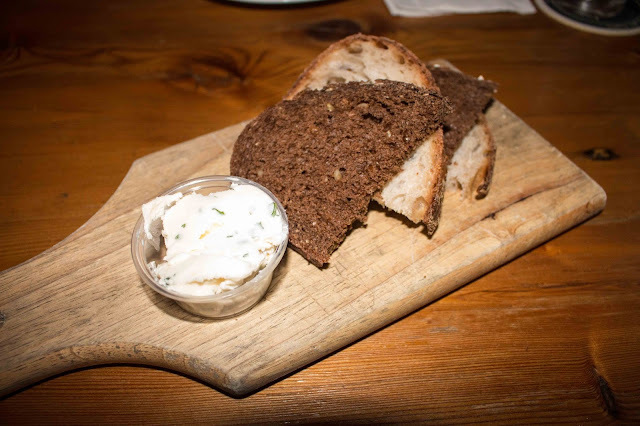 You meal will start with fresh, house-baked bread, which included a rye and a pumpernickel, along with a great sour cream and onion butter. I was excited for the German take on mac n cheese, especially because I love spaetzle. 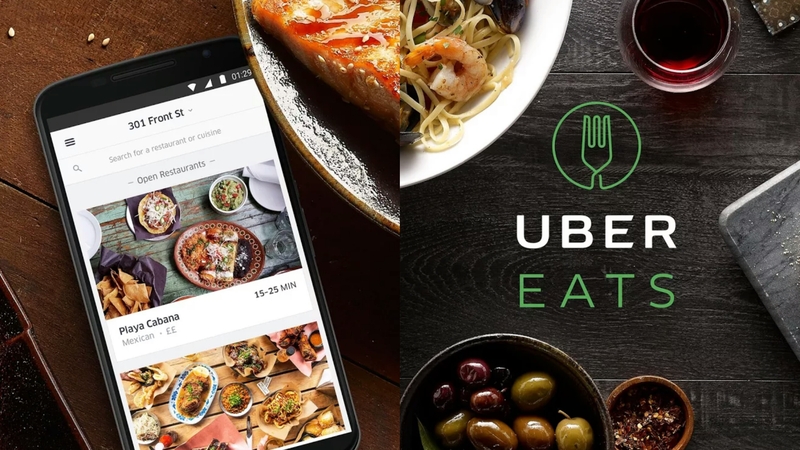 But frankly, my expectations were set a bit high, though I'll admit my lack of experience with the German iteration on one of my favorite comfort foods. 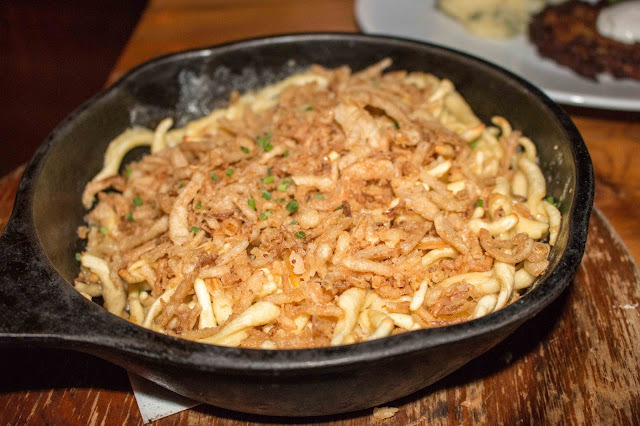 While this had good bite from the spaetzle and the crispy onions had wonderful texture, there was a general lack of seasoning. Emmenthaler wasn't abundant either and thus, reminded me more of a buttered noodle dish. The saving grace? The caramelized onions helped to impart some savoriness. The GF went with the chicken schnitzel for her main. While there could have been a bit more seasoning (this is coming from a guy who typically doesn't need much salt), the pounded chicken was juicy and crisply fried. With each of the schnitzels and sausages came two sides. The GF went with the haussalat, which had that nice bit of tang you'd expect from a proper German potato salad. The kartoffelpuffer, or potato pancake, was great. Topped with sour cream, it was crispy and redolent with onion essence. I went with the smoked sausages and chose the bauernwurst and the speckwurst. 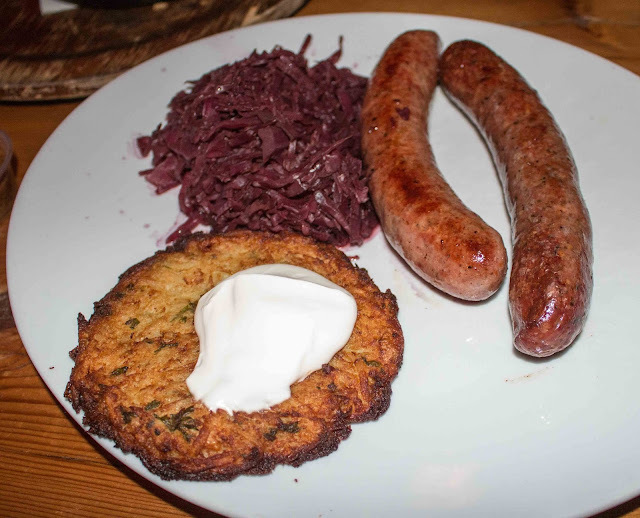 The bauernwurst on the left was a mix of smoked pork and beef that was juicy with a wonderful garlic essence. The speckwurst was nicely smoked, with the bacon and black pepper coming through. Both sausages had great snap and came with sweet and spicy mustards. 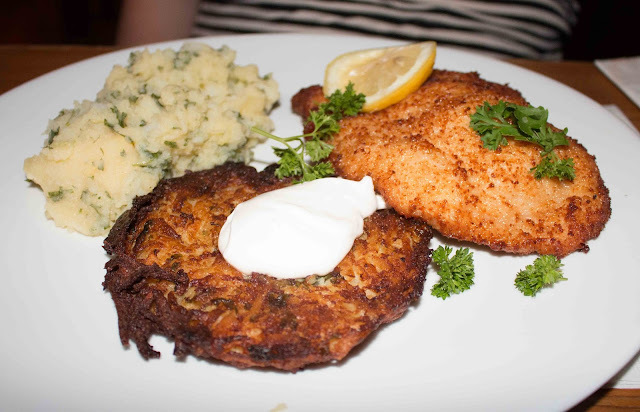 For my sides, I also had to get the potato pancake as well as the rotkohl, or sweet and sour braised cabbage. The perfect foil for all of the heft from the potatoes and sausage. Overall, Brauhaus Schmitz had high marks from me in terms of their house-made sausages and sides. 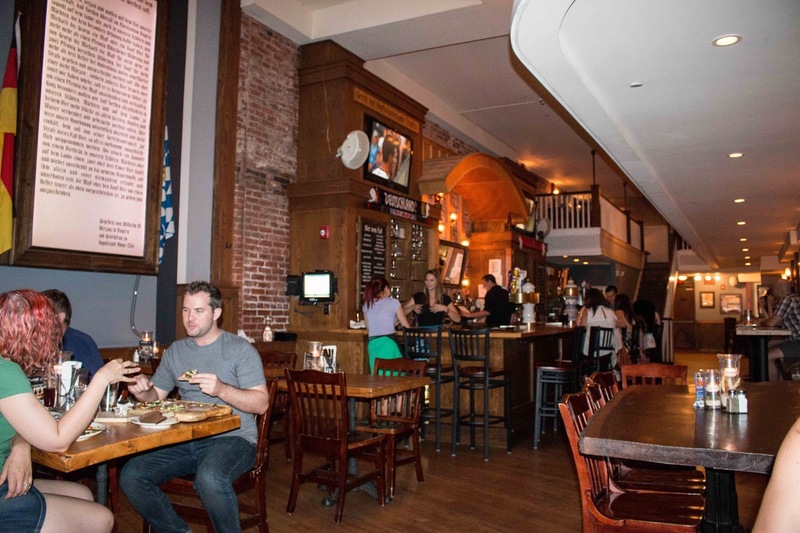 While I didn't appreciate the kasespatzle as much as I would have liked, South Street's German Bierhall has got plenty to enjoy. Be on the lookout for all of their events, whether it's Oktoberfest or the South Street Festival! And if you're looking for some proper German sausage sandwiches, Hager and Chef Jeremy Nolan also has the spinoff sandwich shop, Wursthaus Schmitz, located in Reading Terminal Market.